​ Happy Holidays! It's hard to believe that another Thanksgiving is in the books, Christmas is just around the corner, and another show season has come to an end! If you are a current MAHA member and are participating in the High Point program, it's time to submit your competition results and nomination forms. You can obtain these forms from the Montana Arabian Horse Association website. Just click on the High Point Awards link from the home page. To be considered, you must have your competition reporting forms postmarked no later than December 31st, 2018. You MUST be current with your MAHA membership. 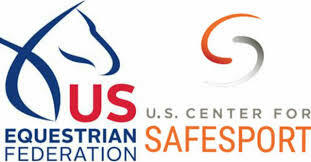 If you participated in a nationally recognized non-AHA event (ex: NRHA, USDF, ARHA,etc...) you must include the competition reporting form signed by the show secretary. I will accept digital copies from nationally recognized non-AHA result pages. If you have shown a horse this past year for the first time and would like to have that horse nominated for the 2018 competition season, you will also need to include a copy of the horses registration papers; front and back. There is no fee to participate in the High Point program and there are multiple categories to choose from. All horses that are nominated will automatically be enrolled in the Horse of the Year category. Champion, Reserve Champion, and 3 Top Fives are awarded to those horses with the highest cumulative combined totals from performance, halter, and dressage. Welcome to the MAHA news page! Happy Fall to all MAHA members and friends! I'd like to introduce you to our new web page; MAHA News. This page is intended to replace our quarterly newsletter. The reason for this change is to allow for more frequent and accessible communication between MAHA and our club members. I plan to post updates and news at least once a month, and an e-mail will be sent whenever there is a new blog post. If you are not a MAHA member and you would like to be added to our e-mail list, you can sign up on the home page of this website. There are several really exciting things about the fact that this is a blog page. My favorite feature is that anyone can comment on blog posts. You can also easily share the link to a blog post via e-mail or Facebook. If you have any news or pictures you would like to have posted on the blog, send them to me and I'd be happy to post for you! My e-mail address is: joan.rozeboom@hotmail.com. Below is a picture of my favorite fall ride in Big South Fork National Forest, TN. Send me pictures of your favorite fall ride (trail, nationals, endurance) and I'll create an album:) Let me know where you were, your name, and your horse's info. Let's get to know each other a little better!